Today’s name is a 9th C feminine name from Besalú, Catalonia. We don’t have many early Spanish names, yet, and even fewer feminine names, making it hard to do any sort of etymological triangulation. In this particular case, we don’t have any solid basis from which to guess at either element — though perhaps the prototheme is related to Proto-Germanic *amal ‘vigor, bravery’, and the deuterotheme perhaps to Proto-Germanic *berhtaz, making this a feminine of Amalbert. But that is nothing more than a guess, not even quite a hunch. Do you have any hunches, any guesses? Any other examples of the name or something similar? Please let us know in the comments. 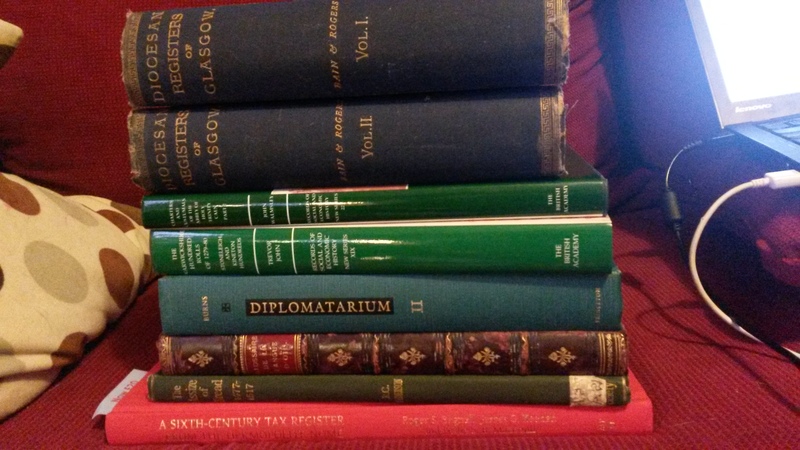 Today’s name(s) we are not actually sure are variants of the same name or if they are distinct. 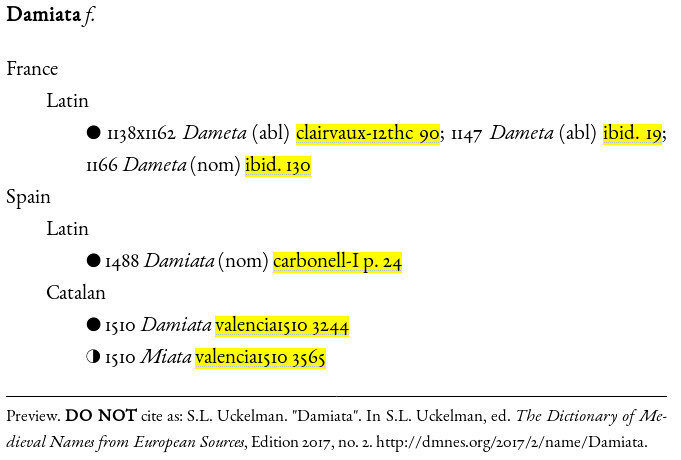 On the one hand, in early 12th C France we have a number of examples (referring to the same woman) of the name Dameta. On the other hand, in Spain a few centuries later we have two examples of the name Damiata in distinct geographical contexts (Aragon and Valencia) as well as the possible diminutive form Miata. Now, the latter form certainly brings to mind the important Egyptian city known medievally as both Damiata and Damietta. It’s unlikely that the personal name is taken directly from the place name (the pattern of naming children directly after cities or locations is a relatively modern pattern! ), but is there possibly a connection between the two? Is Miata a pet form of Damiata or a different name? Is Dameta a variant, or entirely independent? Does the name appear anywhere else? (It’d be really cool to find it in Italy.) If you have any thoughts or further examples, please share them with us in the comments!